I Spy Animals: Do you know your cats? Technically the info in this picture is incorrect. The only cats that are classified as "Big Cats" are the roaring cats and all are of the genus Panthera. 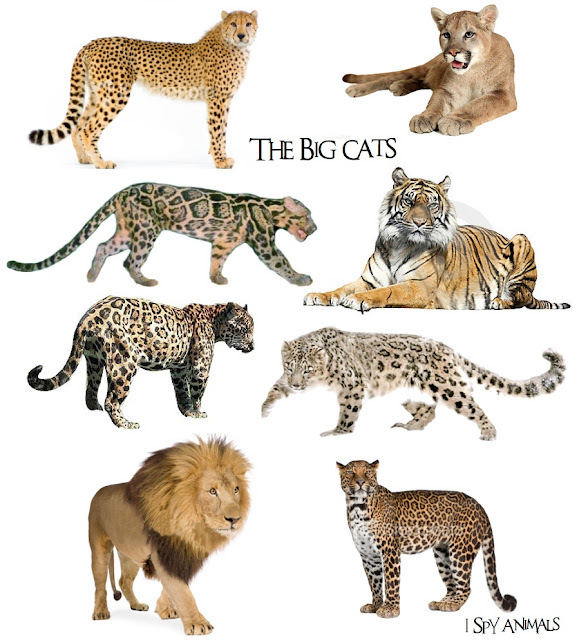 Tigers, Lions, Jaguars, and Leopards. That's it. The others are "purring cats" like the one you have at home.